I included the key information in the book in bullet points so all readers could get to the meat quickly, without being bogged down in padding. But I’m pleased to see that professionals feel this format will be particularly useful for reluctant readers. If we can engage them, then that could be the start of a lifetime’s unreluctant reading! And if I played a part in that, that would make me very happy indeed. Find out more about Flying High! here. 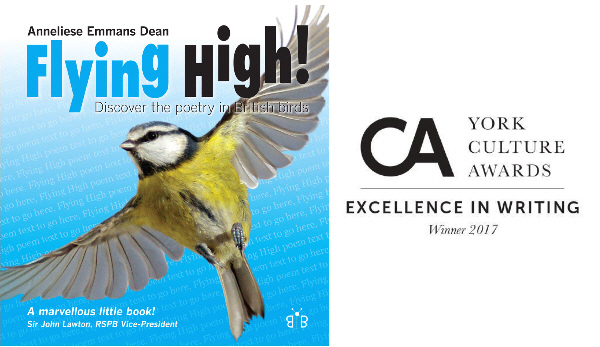 And find out more about my primary school visits, in which I bring the poems in Flying High! to life and encourage children to write poems of their own, here. Next Birdfair here we come!